This post was sponsored by Simple Mills. Thanks for supporting the brands that make this blog possible! One thing I’ve noticed from my work with clients is that a lot of people have a very limited view of what snack food is supposed to be. Protein bars. Fruit. Veggies and hummus. Rice cakes and peanut butter. There’s nothing wrong with these snacks, as long as you enjoy them. But if you’re eating them because you think that’s what a healthy snack is supposed to look like, then that sounds like a diet rule that needs to be challenged. 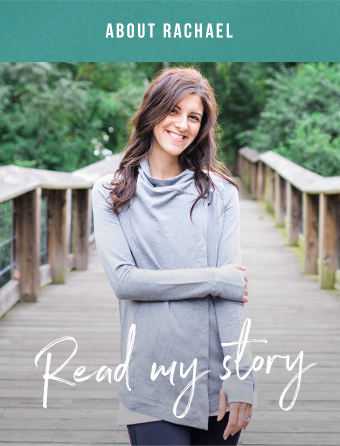 If you’re eating snack foods then finding yourself still thinking about food all the time or grazing all afternoon, then you might need to think about having a more satisfying snack. Think about what you actually want to eat, not what you think you should eat. Snacks aren’t supposed to be the lowest calorie food that will numb hunger until your next meal. Snacks should be satisfying enough so that you’re not ravenously hungry (a 1 or 2 on the hunger/fullness scale) before your next meal. You also want it to be a pleasurable eating experience so that you feel satisfied, not just full. Personally, Simple Mills crunchy cookies are some of my favorite cookies to snack on. The crunchy sweet cookies are really satisfying for snacking! I read somewhere ages ago that crunchy foods are helpful for relieving stress – who knows if that’s actually true, but even if it’s a placebo effect, I’ll take it! 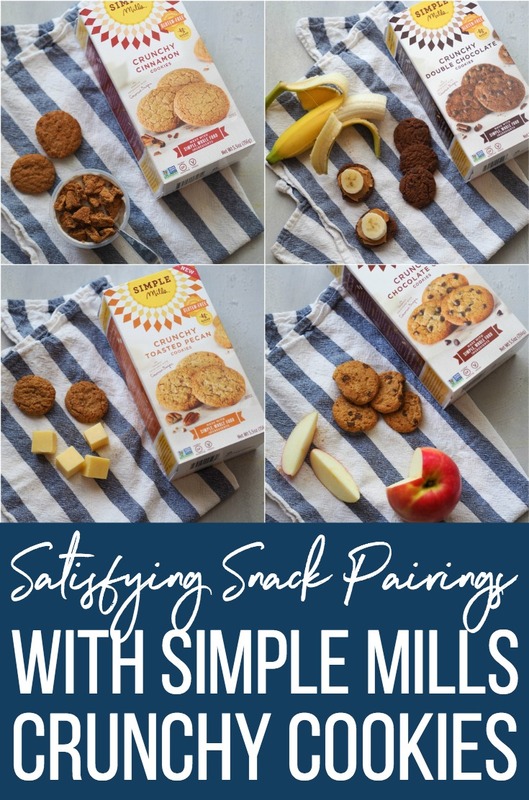 What I love about Simple Mills cookies is that they’re made with a blend of different nut and seed flours, like almond, pecan, coconut and flax, which gives them really great flavor. And for those with celiac, the cookies are also gluten free. I also love that they have just the right amount of sweet, so I’m not spending the afternoon in a sugar coma (p.s. pairing sweets with fat and protein helps prevent that if you have diabetes or PCOS or another condition that makes your blood sugar a little more sensitive). They’re baked with coconut sugar, which if you haven’t had it before, tastes a bit like brown sugar to me, so the cookies have an extra rich taste. The cookies are also baked with tigernuts, a small root vegetable that adds belly friendly prebiotic fibers. If you can’t find Simple Mills in a store near you, head to their website to order online.